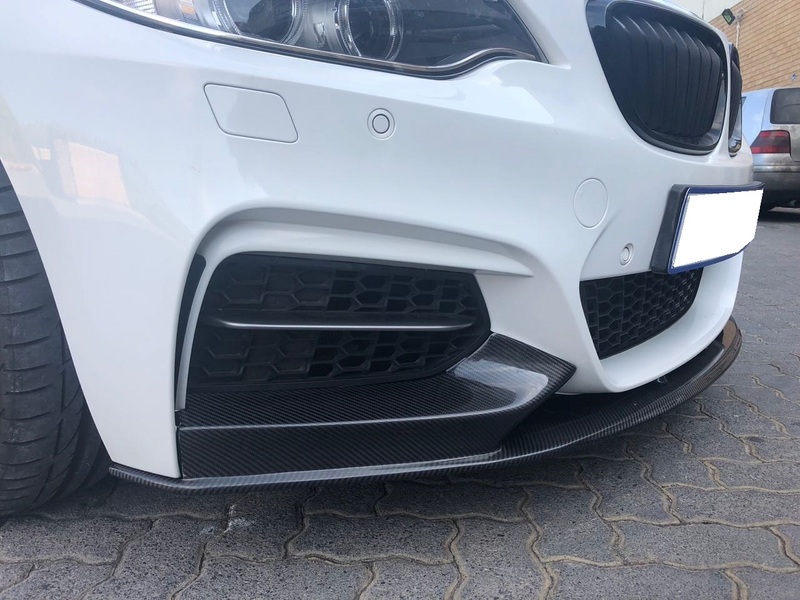 We were given the opportunity to assist a customer with fitment of his carbon fibre front spoiler to his beautiful M235i. 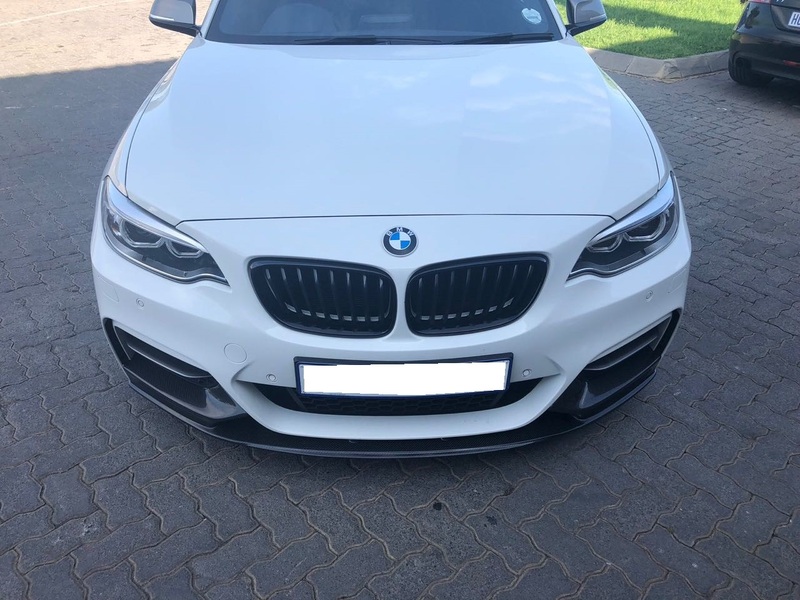 Spoiler supplied by the customer. 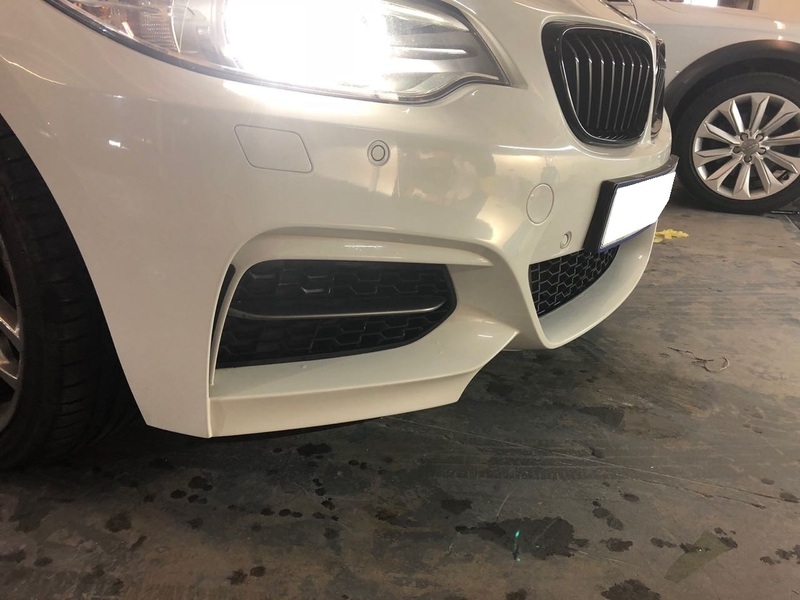 We wrapped the inside of the lower ducts in black to conceal any area were the spoiler would not reach/cover in order to provide a need transition from the bumper to the spoiler. 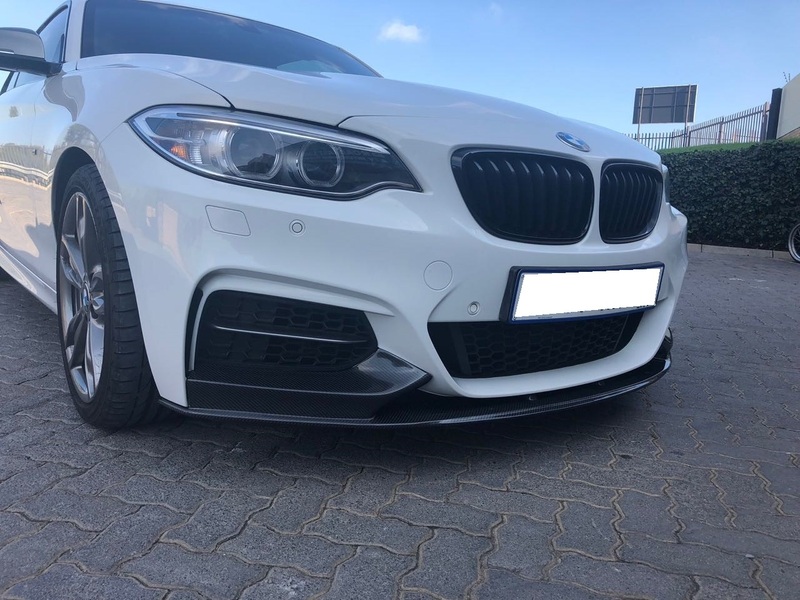 Contact us for any fitment only or supply and fitment requests.